This week is Dog Bite Prevention Week and the US Postal Service would like to remind you that although there are about 78 million good doggies here in the U.S., “any dog can bite.” They should know. Their carriers suffer about 6,000 dog attacks a year. According to the Centers for Disease Control and Prevention, about 4.5 million people are victims of dog attacks each year. The most susceptible to dog attacks are small children, the elderly and postal carriers, in that order. The American Veterinary Medical Association (AVMA) says that most, if not all, the dog bites that occur are preventable. They tally some recent numbers: In 2017 there were nearly 350,000 people treated at hospital emergency rooms for non-fatal dog-related injuries. Of those people, there were nearly 10,600 children two years old or younger who visited emergency rooms as a result of dog bites​. Besides the human and canine trauma that can result, dog bites are also a costly problem. In 2018, dog bites and other dog-related injuries tallied $675 million in liability claims, according to the Insurance Information Institute (I.I.I.) and studies by State Farm. In terms of states, California is #1, with 2166 claims at an average claim cost of $45,542. Florida is #2, with 1281 claims at an average claim cost of $43,893. Texas, Illinois and New York round out the top five states in terms of claims counts and expenses. You can check to see where your state falls on this III interactive state-by-state dog bite liability map. 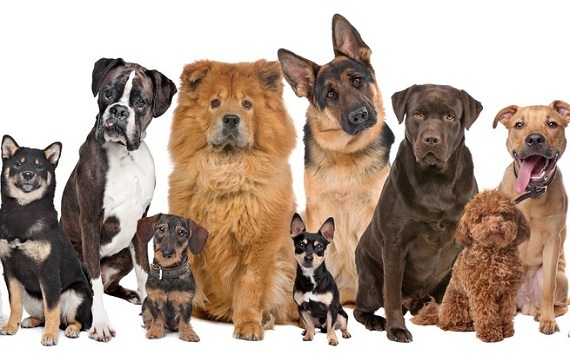 See our prior post on dog breeds that are sometimes blacklisted by insurance companies. Never leave a baby or small child alone with a dog, even if it is a family pet. Interactions between children and dogs should always be monitored to ensure the safety of both your child and your dog. Teach your children to treat the dog with respect and not to engage in rough or aggressive play. Make sure your pet is socialized as a young puppy so it feels at ease around people and other animals. Never put your dog in a position where s/he feels threatened. Walk and exercise your dog regularly to keep him/her healthy and to provide mental stimulation. Use a leash in public to ensure you can control your dog. Regular veterinary care is essential to maintain your dog’s health; a sick or injured dog is more likely to bite. Be alert, if someone approaches you and your dog – caution them to wait before petting the dog, give your pet time to be comfortable with a stranger. In this video, Dr. Joe Bresee of the CDC Influenza Division describes swine flu – its signs and symptoms, how it’s transmitted, medicines to treat it, steps people can take to protect themselves from it, and what people should do if they become ill.
PandemicFlu.gov – Individuals & Families Planning – tools to help you plan for challenges that you might face, particularly if a pandemic is severe. General Instructions for Disposable Respirators – brief video from the CDC that demonstrates how to put on and take off disposable respirators.